It’s now time for another accountability report, this time for July. I can’t believe it’s already halfway through August! I usually do these posts a bit earlier in the month, but I needed some time to receive all of my orders from the Nordstrom Anniversary Sale (NAS) and decide what to keep. I wanted to only write about those items I plan on keeping, if at all possible. Accountability can help us stick to our wardrobe & shopping goals. For those who are new to the blog, these monthly reports are where I share what came into and left my closet during the previous month and how I did with my shopping budget. It’s my way of keeping myself honest and on track with my wardrobe and shopping. Sharing what I bought, what I culled, and how much I spent helps me to stay deliberate (my theme for 2015 – see my recent update on my progress HERE) with both my shopping and wardrobe management. These three tank tops left my closet last month. I opted to pass these four pieces of jewelry on last month. Black, blue, and green tank tops – All three of these tank tops were worn and loved many, many times, such that they became worn out and stretched out. They would no longer hold their shape well and started to bell out at the bottom. I was sad to see them go, but they were all 5-6 years old and had a low overall cost per wear. It’s my hope that I will have more of my clothes wear out now that my wardrobe is smaller and I’m wearing things more often. Orange tone beaded necklace – This necklace is too warm-toned for my complexion. I had kept it to wear with my leopard print dress, but I discovered that another one of my necklaces works equally well with the dress. Tanzanite ring – This is a very old ring that I hadn’t worn in many years. I always wear the same three rings every day, so I’m gradually letting go of the other rings I own, especially those that don’t have sentimental value. I no longer love this ring, so it’s time for it to go. Purple toned pendant – I bought this pendant last year at a resale store, but never wore it. Since I have so many necklaces and prefer many others to this one, I opted to pass it on. Rutilated quartz pendant – This pendant is close to 20 years old, but I haven’t worn it in many years. I have more than enough necklaces and pendants, so I’ll let someone else enjoy this one. These are the new items I added to my wardrobe last month – most were from NAS. Yes, that’s a lot, but I anticipated buying a decent number of things at NAS and I feel good about what I purchased there. I have already worn a few of my new additions and I believe the others will be worn soon and serve me well, as I was deliberate and thoughtful in my buying. I also plan to cull some of my existing items soon, so I don’t think my overall wardrobe size will go up much, if at all. Black draped collar jacket – I tried on a printed version of this jacket in the store, but decided it wouldn’t be versatile enough with my clothes. However, I loved the way the jacket looked on me and how comfortable it was, so I ordered the black version online later. I think I’m going to let go of my old black moto jacket and replace it with this jacket. The old jacket is too big for me, doesn’t look good open, and obscures my tops when closed. This jacket also looks better closed, but has a more open front that allows for a fuller view of my tops and jewelry. Black long vest – This was an unanticipated purchase (I haven’t worn vests in years), but I tried it on at NAS and loved it. It looks good paired with jeans and t-shirts and adds a fun element to simple outfits. The vest fits me well and looks good on my frame. I may add a button so I can close it if desired. Black studded bracelet – This is only the third new jewelry piece I’ve added to my collection this year. I used to add at least that many new items each month! It wasn’t a planned purchase, but I love it and have already worn it several times. I have two other black bracelets, but they are different enough that I know each will receive a lot of wear (the other two are my most worn bracelets). I liked this one because it is minimalist but still has a bit of edge to it. Blue striped open cardigan / robe – This was another NAS purchase and it actually was from the lingerie department. It was billed as a robe, but I see myself wearing it both at home and out and about. It’s super soft and warm and cozy. It’s fitted enough to wear with jeans, but comfortable enough to wear when I’m sitting at my computer on cold mornings. I don’t own a robe, so this piece will fill the gap, but I like that I can also wear it with jeans and t-shirts. Burgundy striped tee – I have mentioned in several of my LIWI updates that I wanted to add a few more short-sleeved tops to my wardrobe. I’ve gotten rid of many such tops over the past year, have downgraded a few others to at-home wear only, and have some more that are on their last legs. I wear t-shirts almost every single day when I’m at home and many days when I’m out and about as well. This one is a good match for my burgundy cardigan and also looks good with black or grey. White/black city print tee – I loved the print on this tee and am a big fan of black and white. All of these tees are very soft and fit me well. This is my favorite of the new tees that I got at NAS and I have already worn it (in an outfit that I rated a “10”). Cobalt tank top – This tank top is a replacement for the one that wore out and was culled last month (see above). Cobalt is one of my favorite colors and I was very sad to have to let my old tank top go. Sadly, I haven’t been able to find a replacement for my bright green tank as of yet, but I still hope to. My old tank tops were worn regularly during the summer and I’m sure this one will be, too. Dark green tee – I took advantage of NAS to buy tees in several of my palette colors. I love this deep green and think it looks good on me. It works well with my other palette colors, including black, grey, cobalt, and burgundy. Dark wash straight-leg jeans – I have lost quite a bit of weight (over 10 pounds) since earlier this year such that many of my jeans are now too baggy on me. I set a goal of finding a new pair of straight-leg jeans at NAS and was happy to find a pair that was long enough and fit well for a low price (under $50!). These jeans have a pull on waist that is comfortable and stays in place. Since I almost never tuck anything in (I’m quite short-waisted…), the waistband works just fine for me. Magenta tee – This is another basic tee in one of my palette colors. I love all jewel tones and magenta is one of my favorites. Yes, it seems like a lot to add four new t-shirts to my wardrobe in one monthy, but they were very low-priced and fit well, and I believe they will all see a lot of wear. After doing LIWI, I better understand what I actually wear, and short-sleeved t-shirts get worn more than anything else. I encourage you to check in on your previous month’s purchases, too, so you can evaluate whether or not they are serving your needs. If not, you may still be able to return things and mitigate any potential buying mistakes you’ve made. These were the 5 items I added to my wardrobe during June 2015. Medium wash boot-cut jeans – I bought these jeans to replace another pair that had gotten too baggy on me with my weight loss. I have only worn this new pair twice so far, as the weather warmed up and I’ve primarily been wearing skirts and dresses. I believe I will wear these jeans a lot more come November or December (our summers last until that late here). Pink print tee – This tee is a bit of a disappointment. I bought it online after I loved the turquoise version (see below), but the fit is not the same. I have worn it only once thus far and didn’t love it. I’m going to see if it fits better after washing it, but it may end up being a dud or relegated to lounge wear only. We’ll see… It’s frustrating that sizing has gotten so inconsistent with many retailers these days. Purple workout tee – I like this tee. It’s comfortable and the color looks good on me. I like that it is a moisture wicking fabric that keeps me dry on hot summer days. I think this was a good buy. Turquoise print tee – I love this tee and have worn it multiple times. The color is one of my favorites and the print adds some visual interest. It fits me well and is comfortable. It’s a good casual tee that suits my current lifestyle. Black walking shoes – I have worn these shoes almost every day since I bought them. I wear them for walking, going on short photo taking jaunts, and when I use my elliptical machine. I’m still having hip and foot problems, so my mobility is limited, but these shoes are working much better for me than my previous walking shoes. They were a great purchase. So, four out of five of my June purchases were good buys. The jury is still out on the pink print tee. I will revisit that item in a little while when I do my purchase analysis for the first half of the year. At this point, though, I think I probably should have returned that shirt. I am happier with my purchases when I’m picky and don’t settle for less than what I truly want. If I take an “it will do” attitude, things rarely go in my favor. It’s much better to return things when we don’t love them. I’m sure most of us have things hanging in our closets that were “close but no cigar” or that we bought because the price was low but the item wasn’t what we truly wanted. Those are the types of clothes that are best left in the store – or returned later when we realize they’re not “8”s or higher on a scale of 1-10. It’s in our best interest to have high standards for what we buy and keep. My quarterly budget is $625. During July, which was the first month of the third quarter, I spent a total of $406.12 on clothing and related purchases, after returns. As of July 31st, I have spent $1786.58 to date in 2015, which means I only have $88.42 remaining of my third quarter budget. I will definitely exceed my third quarter budget by the end of August, as I have already made a few purchases this month. In future years, I’m going to allocate more of my budget to the third quarter because I like to shop at NAS. I wish I had done that for this year, but unfortunately I did not. At this point, in order to meet my target for the year, I will likely have to work with a very small budget for the fourth quarter. I’m okay with this, as I feel like my cold weather wardrobe is in pretty good shape after my earlier 2015 purchases and what I bought at NAS. I don’t think I will need to buy much at all in order to be ready for the cooler season, which really doesn’t start where I live until November anyway. I’m doing pretty well with my summer wardrobe as well, but I would still like to find a few replacement items, including tank tops and shorter skirts. But overall, I really don’t need much and that feels good. I realize that this is a lot for many of you and it’s still more than what I want to be adding on a yearly basis, but it’s a lot less than what I used to buy each year (see this post for more on that topic). I’m still in the process of refining my style and cultivating a workable wardrobe, so it makes sense that I would buy more during that timeframe. I will likely end 2015 having purchased close to the same number of new pieces as I did last year (I ended that year with 53 purchases, but I didn’t count workout/lounge items or gifts and I didn’t exclude those in my numbers above). My hope is that I will buy far fewer items next year than I bought this year now that I’m getting my wardrobe to a much better state. Just as I don’t believe there is an ideal wardrobe size that works for everyone, I also don’t feel there is a right yearly purchase number across the board. There are many factors that affect both of those numbers and we all need to decide what’s right for us. I’m still figuring it out as I go along and I will address this subject in a post later in the year. How did you do with your shopping and wardrobe during July? I invite you to share your wins, setbacks, and any questions you may have for me or others in this community. Some of you have opted to share your accountability updates each month, too, which is great. There is strength in numbers and in declaring our truth on a forum such as this one. We’re here to encourage and support each other, so please feel free to ask for help if you need it. I wish you all the best for the rest of August and throughout the remainder of 2015! In July I shopped quite a bit, and added 13 items to my wardrobe: it was probably due to the sales (even if 3 items were new collection), and also to the fact that I finally managed to find 3/4 sleeves tops that I liked, fit me well and didn’t cost a fortune. They’re all either boat-neck or off-the-shoulder, which is a style that flatters me and gives an outfit a retro edge without being too ‘costumey’, since I’m trying to switch from ‘too casual’ looks to ‘smart casual’ looks, that are still totally relaxed and unassuming, but with an attention for little details that smarten them up a bit. And I can definitely see the ‘deliberateness’ in your purchases, you’re true to your style and also open for new options, like the black vest! I think it’s a great idea to “save” a portion of your yearly budget for the NAS, since you know that you like to shop that sale. Yes, I don’t know why I didn’t think of this before, frugalscholar. It makes good sense and I will plan accordingly next year. I plan most of my purchases (or allocation of budget) at the beginning of the year. Last year, I knew I needed a considerable portion of my dinky clothing budget for some winter items so I “saved” most of my budget until late fall. This year, I knew that I’d need to replace some summer items (swimsuit — yikes! have these jumped in price; shorts, sandals, etc.) so I “saved” my budget for these purchases. I was able to buy several things on sale so I have a tad more than anticipated for the rest of the year or for next year or for something else unrelated to clothing.. This sort of planning isn’t difficult for me to do because I love and wear all of my clothes all the time; my purchases tend to be replacements or items to jazz up my existing clothes. If I were still building a workable wardrobe, it would require even more research and planning. I would still operate on an annual plan because it gives me a “global” view of my wardrobe and purchases. However, it seems that a quarterly budget allocation works for you — although I still think it gives “permission” to continue to shop/spend as in: there’s still $88 in this quarter’s budget. However, this could be rolled over into next quarter’s or even next year’s budget or even donated to a worthy cause, like Dress for Success or similar program that helps women get back on their feet. 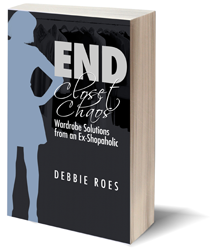 Debbie, you definitely are spending more time analyzing why clothing and accessories work and don’t work — a key process for any well-dressed woman — and you are much more self-aware about how clothing best suits you, your body and your lifestyle. Good work! Very inspiring! You have a good strategy for your wardrobe planning, Dottie. I look forward to getting to a place where I can add fewer pieces each year. At that point, I can probably more from a quarterly budget to a yearly budget like what you have. I’m definitely doing more analysis of what I want to buy and what I actually do buy and it’s serving me well. Thanks for your kind words about my progress. Debbie, what an inspiration you are! You have built an exceptionally nice wardrobe that works well for you. And you are well on your way to being able to add a few pieces each year to both your warm and cool weather wardrobes. Analyzing so that you can discover why clothing and accessories work and don’t work for you has brought you to a good place, and I’m looking forward to hearing about your working closet at the end of the year. What a joy it will be to arrive at the place Dottie is at. I’m close (hopefully very close) but not there yet, and it sounds like you are getting close to being there too. Yes, it will definitely be a joy to arrive at the place where Dottie is – or where you are, Terra. You seem to be pretty close to being where Dottie is at this point. I know you have worked hard to get there, too. I continue to have my ups and downs, but I think I am getting closer, too. I still buy too much sometimes, but I’m also letting go of old pieces that don’t really suit who I am anymore. I think that next year will be quite different, or even later this year. My closet is in much better shape than it was before and I’m happier with more and more of my outfits. I’m getting closer to my “happy place” with my wardrobe and it feels good. 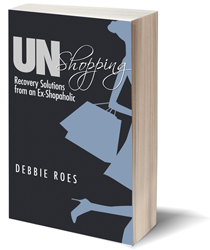 I completely agree with dottie on “permission” to continue to shop. I also think analyzing, counting, keeping statistics is leading you to shop more. I noticed this tendency with minimalism as well (I am not saying you are one) – the road to minimalism leads to much agonizing, looking for that “perfect” thing, and eventually shopping. Everyone is telling you how great you are doing, that you are on the way to recovery, but buying 11 items in one month doesn’t speak of improvement or “recovery.” And with your lifestyle, I do not think you need that much; meaning that you don’t have to go to work every day and stand in front of your closet deciding what to wear. I am sorry if I sound too harsh, Debbie. But maybe at this point, switching to outfit posts with whatever you have already, how you make things work, would be a better approach. As an aside Jess, not about Debbie, but about what you wrote about minimalism – your observation is true about some people who have perfectionist issues to deal with because for some it can be a slippery slope seeking perfection, be it a near perfect item or a near perfect minimal lifestyle. Yet for others downsizing, moving to a smaller home, a smaller closet and a desire to buy and own less things belongings does not lead to more shopping. I respect what you have observed in that a desire to become a minimalist can play out the way you described with some people and I agree. However, your statement is far too wide of a generalization to make about minimalism. I definitely agree with what you wrote, Terra. In general, I think that minimalism is a very good thing. It has had a positive impact on my life for sure. While I may not have a minimal wardrobe, I have downsized considerably there as well as in other areas of my life (books, CDs, kitchen items, cosmetics, etc.) and I feel lighter and freer as a result. I do think that like most everything else, minimalism can be done in a way that doesn’t serve people. If someone is going to have only one black skirt, for example, they may agonize over finding the perfect one. That can destroy the purpose of minimalism, which is to free up time and energy to focus on what matters most in life. There can be a downside to almost all things, including minimalism, but there is no denying the incredibly positive impact it has had on many people’s lives. I really like the way your wardrobe additions are cohesive and as I’ve mentioned before, similar to my personal aesthetic. I can’t wait to see how you style the vest. I can see how much care you are putting into your decisions. Also, what you’re moving on from makes a lot of sense to me too. It helps remind me when I shop to stay with the cool tones, and I think it’s good for me to remember what I really feel best in and not stray from that (otherwise it becomes a garment I put on and take off without wearing because it never feels just right). For the first time in years I’ve pretty much have no brown pants or shoes in my closet. I have some neutral metallics, but I decided I don’t need to buy clothing in certain colors. In past I would think – I don’t have an orange shirt, I should get one. But duh, I don’t look good in orange, so now I am sticking much closer to what feels good instead of thinking I need one of everything. I love the bracelet too – I can’t place where it’s from – ha, which I can often do. I have had two pairs of the straight leg pull on jag jeans (with all the stretch in them, they each lasted about two years before I found them too stretched out and faded, but I got a ton of use out of them). They are more streamlined than some of the legs on your past jeans, which I think is a flattering look on you. And they are comfortable enough to travel on a plane in, so I think very fitting for your need for comfort. I also tried the Caslon tee from NAS, it wasn’t as flattering on me as I wanted, so I returned it. Also, I ordered the stripe cardigan for my daughter for Christmas. I did have her try it on since I wanted to make sure it fit, and she didn’t want to give it back! I think it will fit well with your desire for soft, cozy, and a relaxed put together look for you. Also, I wanted to tell you about the black jeans I found. I know you got some recently, and I considered them, but I was holding out for 34 inch Lucky jeans, and I found my favorite pair (sweet straight) on their website and scooped them up. That was the item I wanted most for fall. I did a fair amount of shopping last month, so I am taking a pause for now. I have 4 items on my fall/winter wish list, but I’m going to force myself to try them on in person before I will purchase. I can much more easily control myself when I try on in person because I get very picky about fit and I tire out of shopping and feel over it all. But I can shop online as a pastime – it’s just relaxing to me to look at websites and imagine it’s going to fill some hole in my life, and that’s where I’m still struggling. Thanks for your comment, Angela. I appreciate that you see a cohesion in my wardrobe additions. I’m really working on being more thoughtful about what I add to my closet these days. I used to think I needed items in all colors, too, which is silly really. I have no more brown in my wardrobe (except for the brown in my few leopard print items) and I’m fine with it. I could wear brown bottoms, of course, but it’s just easier for me to keep things simple and stick to black as my main neutral. I hope the Jag jeans work out as well for me as they did for you. If they only last two years but I wear them a lot, they will be well worth the investment. Thanks for the heads up on the black Lucky jeans. That’s my favorite brand of jeans, as they fit me well and come in longer lengths. I actually prefer Lucky jeans over premium denim. I am with you about wanting to shop if I tell myself I can’t. That’s why I leave it more loose for myself. The most important thing for me right now is to be intentional with my shopping and make sure any purchases are really fitting for the life I am leading today, and really bringing a value added to my closet. Shopping in person is usually my best bet, and even if I need to order longs/talls, I will try to try on the regular and then order the tall. Being intentional with our purchases really pays off, Angela. You and I are on a similar path. I do better with shopping in person, too, but sometimes for hard to find items I have to resort to online. With pants, I agree that it’s better to try on the regular lengths in person and then order the talls/longs. Even better is to be able to try and buy the longer lengths in person, which I can often do at Lucky and Gap, depending on whether I need long (for flats or low heels) or extra-long (to wear with heels). I have never counted my purchases or written down just how much I am spending on my clothes at all. I am finally inspired to do so because of your accountability updates. I think I will be unpleasantly shocked. I did implement a rating system for my clothing, and I am trying to keep only 8’s or higher. I still have far more than I can possibly wear. Congrats on implementing a rating system for your clothes, Lori. It really does help a lot, as does keeping track of how much we buy and spend. It CAN be daunting, but it has made a big difference for me, especially since I’m sharing my accountability on the Internet! I still have too many clothes, too, but LIWI is helping me to pare down to what I like most. It’s definitely a process, but if we stay the course, we will get to where we want to be. Best of luck to you! Soak the denim jacket overnight in a cup of baking soda added to a tub of water. Most of the odors will be gone. Thanks for the suggestion, Nutrivore. We soaked it in powdered milk last night based upon another reader’s tip. If that doesn’t get rid of the chemical odor, we’ll try baking soda next. I’m bound and determined to make this jacket work for me, as I really like it other than the smell issue! If it is smells that bad, you should not be wearing it, period. Think of all the chemicals that went into it and you will be touching it every day. It actually didn’t smell that bad, but I am extremely sensitive to odors. My husband couldn’t even smell the dye, but I could. I agree that we shouldn’t wear thing that smell like chemicals. The dyes that are used for denim seem to be especially strong. I haven’t found many denim jackets that don’t have an odor that irritates me, but thankfully Nutrivore’s suggestion worked! Your suggestion worked, Nutrivore! I used the powdered milk first, but I could still smell the dye, so I used the baking soda next and the chemical odor is gone. I need to have the jacket taken in a bit at the sides (that is almost always the case for me with jackets), then it’s ready to be worn. Thanks so much! 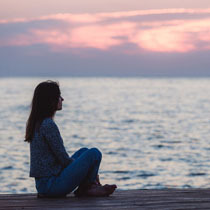 As always, I greatly enjoyed reading your accountability post, because your thought process always helps me stop and look at my own way of doing things, and my thinking. Thank you so so much for having the courage to share these personal details with us! I realy like your idea for budgeting for the NAS next year – I kind of do that myself now – when we make a trip to Canada every other summer, I set aside some money to go to Danier and look at leather jackets and bags. I think it’s great that you’re at this point in your journey that you can pause and reflect, and see the forest for the trees. I have heard of Danier and would like to go there sometime. My sister-in-law lives in Toronto, so perhaps if we visit her. If I go there, I will also have to set some money aside or ask for a piece for my birthday or Christmas. So I am definitely getting rid of more than I am bringing in and I’m very happy about that! Wow! 49 items added this year, but you’ve purged 101 items! That is fantastic! Do you ever find you’re in a perfectionist sort of ‘upgrade’ cycle with your purchases and purges? More than once, I’ve caught myself doing this (okay, many times, actually!) If so, how do you forestall this? Usually by the time I realize I’ve done this, I’ve already pulled the trigger, bought the item, and it’s in my closet – and I love it, even though I loved the item I just upgraded from. I suppose you could call it another facet on the same gemstone of duplicating items. I’m glad you encouraged me to count, as I was very happy to learn that I have let go of twice as much as I’ve brought in. In regards to perfectionism, it’s a HUGE problem for me! I often hold off on wearing new pieces because I haven’t fully committed to them and believe there may be something better out there. That’s not as bad as wearing them, though, and then buying a similar – but in my mind, better – item not long afterwards. I am getting better about this, but am still struggling. I don’t know if I’m at the point of being able to advise others on this yet, but I could certainly write about my experience and what I’ve learned. I will add this to my list of upcoming topics. Hi Debbie, if that denim jacket doesn’t work for you, if you live near an Ann Taylor, they have an option that might work for you (I’m finding that they’re doing the edgy, classic, and minimal aesthetic very well). It’s a dark single shade of denim that looks like it would work with your dark denims. The treated/distressed denims tend to date faster. The exaggerated collar would also work for your proportionally smaller upper body compared your lower body giving more balance and attracting the eyes to the face. As for my July accountability update, I spent $300.5 for July on 10 items and 2 alterations. Evening/Dressy “Capsule” Purchases: Because I didn’t have any evening wear at all, I purchased a few pieces that would work for those kind of events, I was thinking about my birthday, Christmas, New Year, and Chinese New Year in particularly; the only other dressy option I have is for summer/spring. I sent my jeans to be reweaved and will be turning them into denim shorts for the last leg of summer and early fall wear. They can no longer stand for so much wear and I have another pair to replace them with so I’m “upstyling” these into shorts that are needed but will not see as heavy wear. I also purchased a silk wrap blouse that I got altered into a long oblong scarf using the wrap ties. I really loved the reds, wines, and purples that I am planning to incorporate more of into my wardrobe. Thanks for the denim jacket recommendation, Margaret. I love it and will definitely check it out if the one I have doesn’t work out for me. And thank you for sharing your accountability for July. Your new items sound gorgeous and you really got a lot for the money you spent. I think you mentioned previously that you shop on eBay a lot. I’m not against doing that, but it makes me nervous. I’m sure you have a process for doing so and if you’d ever be interested in sharing it in a guest post, I would welcome that. I know there are a lot of readers who either shop on eBay or would be interested in doing so, so I think the post would be well-received. I think it’s great that you are turning a pair of old jeans into shorts. Most people probably don’t think to do that, but it’s a wonderful idea! Hi Debbie. I would definitely be happy to write a guest post about shopping on eBay. Should I send my post to you by email? What is your email? Wonderful, Margaret! I will email you about this and we’ll make it happen! Thanks for reporting in, Tara. How great that you are taking on cycling! I hope you enjoy it. I used to cycle quite a bit years ago and my husband is really into it now. I hope I can get to feeling well enough to do it again… I think it’s smart that you are allowing functional/need purchases during your no clothes buying streak, as those purchases are often ones that we neglect in favor of buying “out and about” wear. I hear you on it being a struggle not to shop… I used to always “white knuckle” it, but over time, I’ve had weeks and months where it wasn’t as difficult for me to resist. But then I have other times, like last month and this month, when I’m more compelled to shop again. I think it’s normal and natural to have ups and downs when we are changing our perspective and behavior, and I think it’s smart not to expect that it will ever be a “cake walk.” I still hope it will be one day, but I’m not holding my breath, either. I may always be a recovering shopaholic… Who knows? I may still be writing this blog 10 years from now! I love these posts. 🙂 I bought almost everything in one day online last month. A silver mesh belt and bracelet matching set, 2 BCBG blush pink tanks (accidentally – one I was outbid on eBay so I bought the other, but then the overbid was retracted). I have since returned one of the tanks. The last thing was a pair of jewel cuffed Miss Me jeans. Saw it in an ad and really really wanted them. They were sold out, but I found them on a secondary site and am returning right now for a smaller size. May or may not keep them. If I keep the new size jeans I will have spent $1540 so far this year. Like you, I’m buying a bit more than I’d anticipated, but also purging more than I’m acquiring. So my overall totals are still slowly going down. I have 2 mistake purchases that I have already demoted or culled – an olive tee that had too snug arms and a cargo skirt second hand (eBay) that was too big. Only one thing remains unworn – my silver backpack. Not sure if that is a miss or not. Maybe I just need the right time to break it out and see how I feel with it. Thanks for sharing your accountability, Mo. It seems like you are being very deliberate with your purchases. I can see how your new items fit in with your current wardrobe and your style aesthetic. I appreciate your writing about the mistake purchases, too. I know it’s risky to buy things online, especially via eBay when returns aren’t possible (I know you can return some things there but not all). I hope the silver backpack ends up being a win, as it seems like a fun item. I’m purging more than I’m acquiring, too. I am going to add that information to my future updates after Mary Beth suggested that I do so. I reported those numbers in response to her comment and was happy to learn that I’ve culled twice as many items as I’ve brought in. Hopefully I will buy less overall next year and either keep my wardrobe at a stable size or reduce it even further. July did not go well for me in terms of limiting my shopping or my budget. I purchased 12 items. In addition to back to school items for my kids and a couple of things for my husband, I spent all of my July and August budget already. What can I say, there were some great sales on things I was coveting for months. I can relate to what you said about spending in a rebuilding year. The purchases I made are in line with my emerging style but timeless enough to last until they wear out. By the way, I think your black jacket is a good example of timeless. Your style and color palette are well established and versatile. I have this fantasy that I am approaching such a place, where the new is less appealing than what I already own. Then maybe I can retire my preferred customer credit card and just enjoy what I have. I’m right there with you… Hoping for a better fall. Good luck. Same to you, Misty! I believe we both can and will do better in the fall. Let’s make it happen. I like these posts too! I bought 5 things in July, my total being 12 items this summer, and 8 in the spring (total 30 for 2015) – way above my ‘5-piece French wardrobe’ challenge for the year. The sales in January and July were too tempting, particularly in the case of shoes. At the moment, except for a couple of items, they all seem to have been wise purchases. My challenge for the rest of the year is to put together new outfits with these, and focus on what I have (looking forward to this, especially as autumn arrives). Ideally no more purchases till the winter sales. I’m glad you like these posts, Alice, and I appreciate your sharing your accountability, too. I think the “5-piece French wardrobe challenge” is great and I may opt to do it next year, but it’s hard to do when one is in a wardrobe rebuilding phase. I’m not sure if you are in such a phase, but I know I am, as I have been honing my style and cultivating a more workable wardrobe. I’m glad you feel that your 2015 purchases have been wise ones. My track record is improving overall, but there have still be a decent number of mistakes this year (mostly earlier in the year). Best wishes to you in putting together new outfits, enjoying what you have, and holding off on more shopping until the winter sales. I love your accountability posts. Examining what we buy helps us advoid future mistakes hopefully and we also get a better sense of style. The only clothing I bought was ponte pants, but down slid on jewellery. One pair of earrings but 6 necklaces. Oh dear. My weak spot is jewellery. I only spent $30 all up but “on sale” and it is only $2 or $3 dollars featured largely on my radar. Also nothing left my wardrobe…still can’t let go it seems. But I’m trying to work on that. Your honesty is much appreciated, Di. I used to go way overboard on buying jewelry, too. It wasn’t until I started doing LIWI that I realized how much I had and how little I was actually wearing it all. That seems to have scared me straight, at least for now… In regards to letting go of things, that is hard for a lot of people. We have to proceed at our own pace. Some commenters have criticized me for not purging fast enough, but my slow gains have added up and I think will stand the test of time. Perhaps you can use the “hidden holding zone” to house items you’re considering passing on. Move them to a different closet or box them up for a month or two. You may find that having that intermediary zone will help you to let go of things more easily. It helped me a lot. Best wishes to you! Thanks for your kind words and suggestions. I love reading your blog and can relate to you a lot. You are right about doing things at our own pace. Not point purging things for the sake of it then going out and buying replacements. It is definitely process, defining your style, what feels like enough and then too much. And even that changes as we do. I like the idea of your hidden holding zone and think I will try that. Will be interesting to see what we come up with for our new capsules….even if we are opposite sides of the world. I’m glad my suggestions were helpful, Di. Please write back again later and let me know how it’s going for you. I’m thrilled to have readers all around the world and I try not to neglect my friends in Australia and New Zealand when I write about the seasons. I hope your spring wardrobe is shaping up nicely. All of your new pieces seem like they fit in well with your current wardrobe. The vest is a good idea to add something new and interesting to existing items that you own and I really like the jacket. I bought three things in July. I replaced a black and charcoal tunics with a different size and I’m so glad that I did! That fit so much better now. I also bought a sweatshirt dress and I don’t think that was a good purchase. I wore it once and I’m not crazy about it. I spent 65.25 for a total of 1132.39 for the year. Thanks, Tonya. I feel pretty good about my July purchases, but of course time will tell how they work out for me. I like that you are buying so much less and being a lot more intentional about it. Too bad about the sweatshirt dress, but sometimes it’s hard to tell if we will like something until we wear it. Some things are great in the fitting room but not so great in real life practice. Overall, you’re doing great! Your 2015 spend thus far is very reasonable. I bought one beautiful Karen Millen shift dress from the sale rail and one hand knitted fine wool winter white cardigan jacket on a recent trip to Riga, Latvia. I have worn the dress many times already and it will be a long term keeper as everything about it is right. I will get a lot of wear from the knit as it is super soft and comfortable, lightweight and interesting. The last of the summer sales are on now with reductions from 50-70%. Although I now longer cruise sale rails for the sake of it, it’s the time to buy high quality Italian sandals that I wouldn’t buy at full price so am keeping my eye out. Your two July purchases sound beautiful, Carolyn. How great that the dress has already seen a lot of wear! The jacket sounds like it will work well for you, too. Best of luck with finding those Italian sandals. You are using the summer sales to your best advantage, to find something you really want. I hope it will work out for you. Hi Debbie – it seems like budgeting for the NAS next year will be the way to go. I like all your new purchases, and while sometimes it seems like a lot, it’s all about progress, not perfection. We are all still figuring this stuff out as far as a sustainable shopping amount. I took some time in July to think about my purchasing. I’ve been trying to buy just one item every month, which has mostly been working really well. However, it’s been a bit random and last minute as I suddenly realize I need/want something and then purchase it. I also realized that by “spending” my one item on something as necessary as replacing some underwear, it meant that I’d be stuck in that same place of not updating some of my “visible” clothing very often so my style would be very slow to come around to current trends. I do want to keep updating my style, albeit a bit more gradually than you are. So, in July I sat down and decided that I’d buy one clothing item, planned out to hit all the different categories of wear at least once over the course of a year, + will also allow one underwear/accessory/workout purchase per month if needed (not necessarily every month). I am feeling good about my revised plan, hopefully it will work. As for the actual accountability, in July I spent $15 on a pair of Lucky brand jeans from TJ Maxx. They are a pretty thin denim material, which is perhaps why they were so cheap (and, no doubt, last year’s style), but thin is better for me in the FL heat so I’m pleased with them. You’re right that it’s about progress, not perfection, Sarah. It is hard to know what the right number of items to buy is, and I know it varies a lot from person to person and time to time. I hope that I will buy less next year now that I really seem to be honing my style and wardrobe. I want to really be wearing what I have and not to have too much. I like your plan of buying one item per month and I think you additional rule is a good one, as many times we will need underwear, workout items and accessories. I hope your revised plan will work well for you. How great that you found Lucky jeans for $30! I found a pair at Costco once for about twice that and I was thrilled. Yes, thin is better for jeans in the Florida heat. It’s been very hot where I am and I can’t even imagine how hot it is where you are!